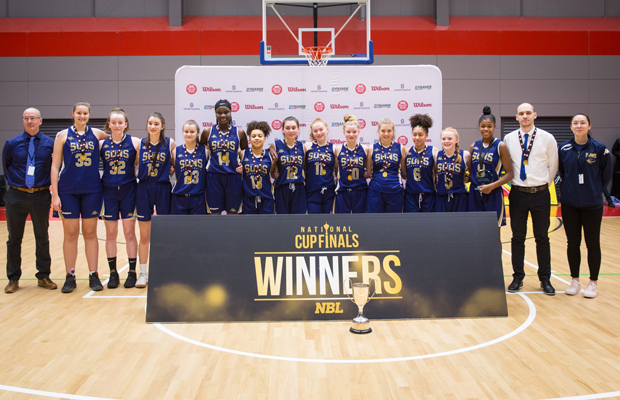 Sevenoaks Suns pulled away in the fourth for a 83-69 victory over Nottingham Wildcats to claim the 2019 Under-16 Girls National Cup title. Great Britain Under-16 duo Tamara Fournillier-Onadeko and Asha Andrews led Sevenoaks, with Fournillier-Onadeko stuffing the stat sheet on her way to 18 points, 14 rebounds, 7 assists and 7 steals to pick up MVP honours, whilst Asha Andrews finished with 16 of her 22 points in the first half, adding 6 assists. “It was a great team effort and we’re all really excited,” Fournillier-Onadeko commented. With Sevenoaks Suns having been in control the majority of the contest, Nottingham made a big push, clawing their way back from 14 down to tie the game up at 60 two minutes into the final period. However, Sevenoaks responded with a 15-3 run to gain a cushion and cruise the rest of the way to the title. 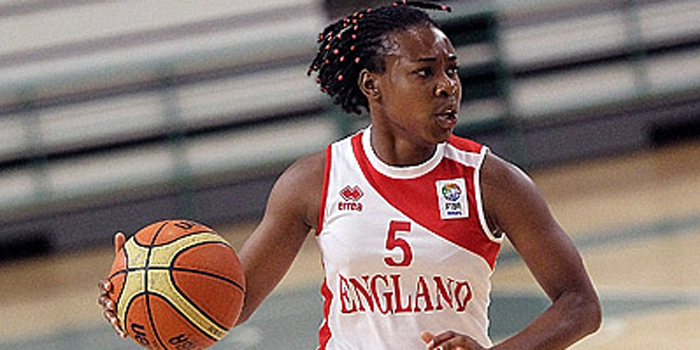 Nottingham were led by 25 points from Masie Evison, and a 13 point, 13 rebound double-double from Mariam Olawoyin. “They’re a strong side, they’ve got some very talented players,” Nottingham Head Coach Steven Lindsey said.